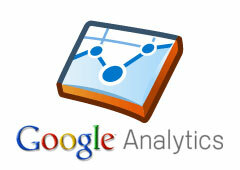 Google Analytics Restructures Acquisitions Section - Where Did Organic Search Traffic Go? Don't be surprised if you go to your Google Analytics and try to quickly check in on your search traffic and possibly start freaking out that Google dropped the feature. They didn't drop the organic search results or remove it, they just restructured it. Google said on Google+ that they've "restructured" it to make it "easier" for users to use. They even placed this warning at the top of the acquisition reports to warn users (which doesn't seem to be doing the job). Today, we’re updating the Acquisition section in Google Analytics to make it easier for you to navigate. Your favorite reports are still here, but don’t be surprised if they’ve moved. And for those of you who are AdWords customers, we’re also removing two reports in the AdWords reporting section of Analytics. Data from the Placements report can now be found in the Display Targeting report, while the Keyword Positions report has been deprecated (you can use the secondary dimensions “Ad Slot” and “Ad Slot Position” to examine where your ads appeared on the search results page). It shouldn't take you too long to pick up on the changes and get where you need to get to today.